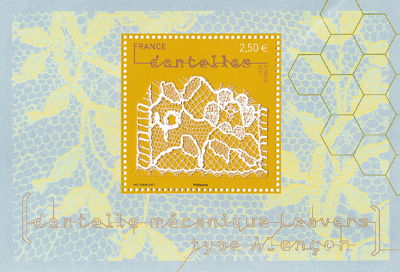 Four interesting stamps have just been released in France honoring machine-made lace. If I understand correctly, a hot glue is applied to a large piece of lace to stiffen it. 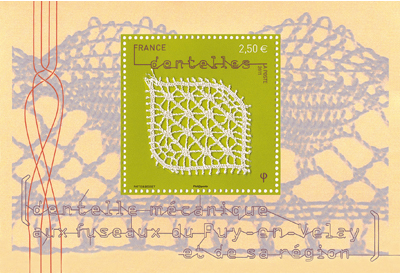 The lace is then cut into sections by hand, and fixed to the stamp. 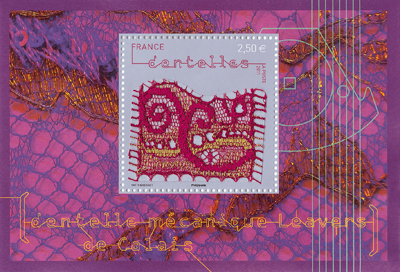 They represent Leavers Chantilly, Puy-en-Velay and surrounding regions bobbinlace, Leavers Alençon, and Leavers Calais. A stamp issued in this format is called a ‘souvenir sheet’, and these measure 10.5 cm by 7.15 cm. 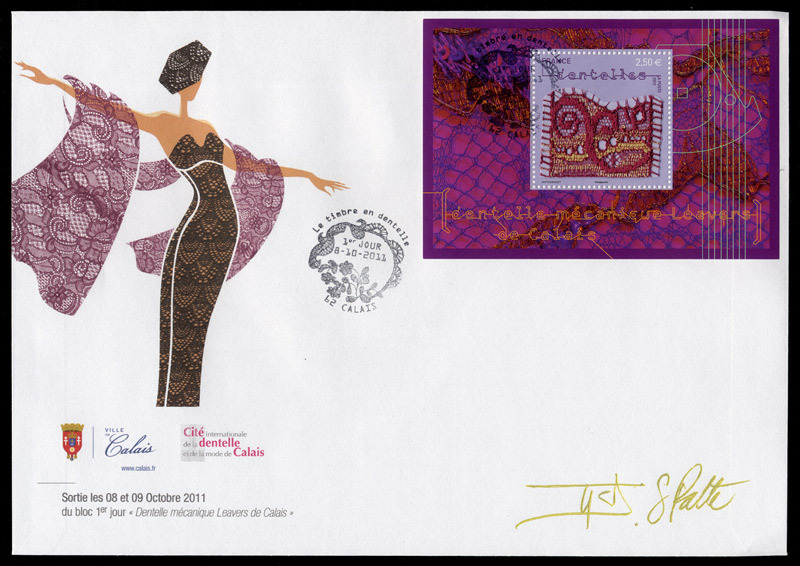 They are already showing up on Ebay and Delcampe, usually priced from 4.00 to 4.50 euros per stamp. But the best way to buy them is to go directly to the French mail service La Poste site, http://tinyurl.com/3no46z9, where they can be ordered for 2.50 euros each. 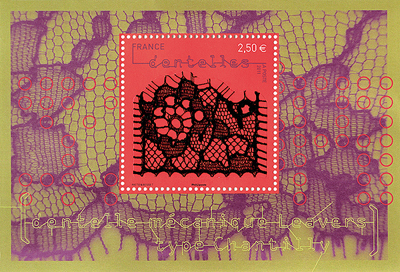 The symbol Φ is included in the design of three of the stamps – you are supposed to find it. It is in the lace itself, and is not the Le Puy one. So far, I have seen one first day cover, dated October 8th. This entry was posted in Collecting. Bookmark the permalink.